There will be those amongst you who think – This is a before?! 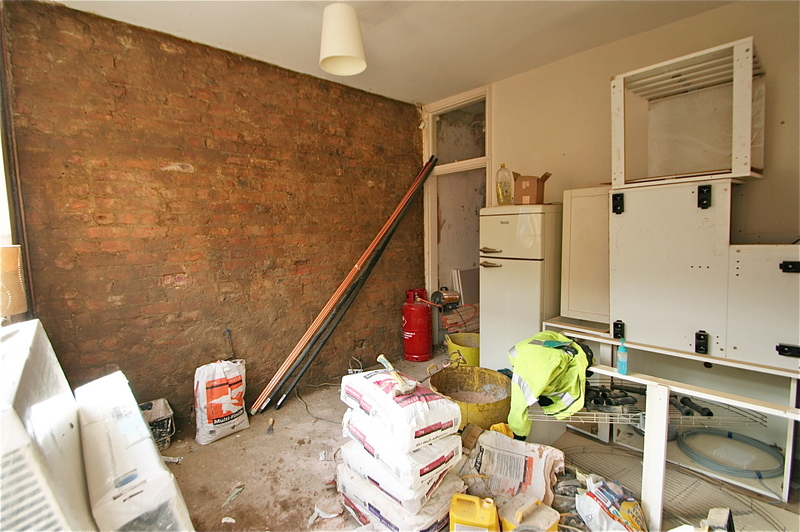 – and granted, the units are far, far nicer than a lot of the kitchens we take out, which is why much of it is being re-used in the new scheme with extra Ikea units to be bought in this two bedroomed Didsbury terrace. At the moment the Ikea kitchen just doesn’t work. 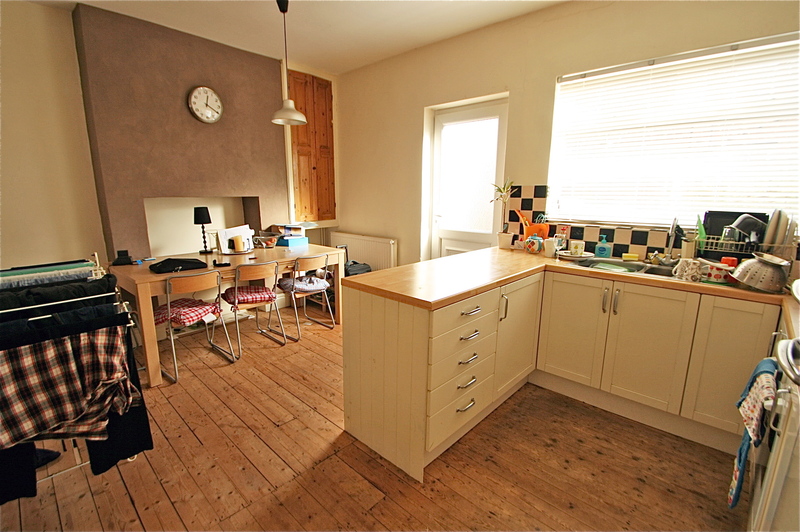 The door opens onto the fridge, the oven is at a low down height and when it’s open you can barely get to the sink, there’s no space for a washing machine, way too little work surface around the hob…. need I go on? We started in this client’s house just looking at the bathroom (a whole other post!) but the more the conversation progressed, the more it became clear that pretty much a full house revamp was the order of the day. 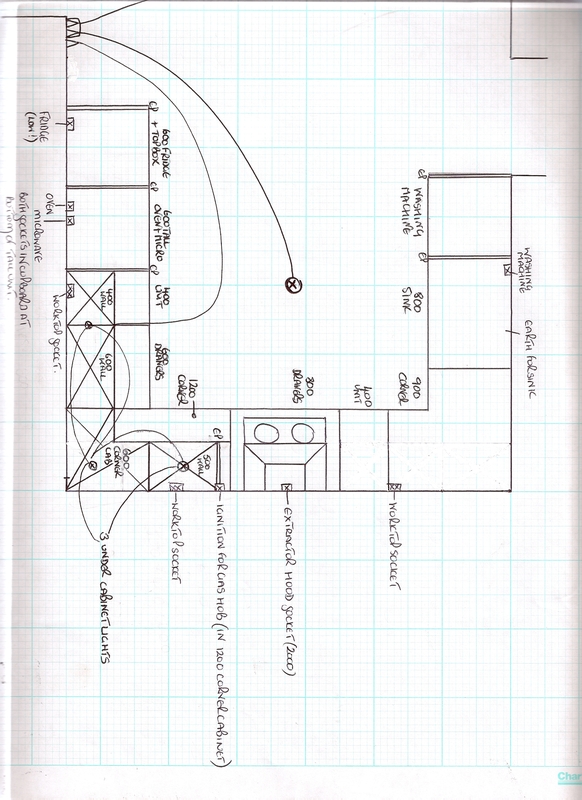 Idea 1: Moving washing machine down from bathroom and positioning to left of sink. Keeping the hob where it is, but moving the existing retro fridge over to the side of a new run of base units with glass units above. Adding a new tall oven / microwave housing next to the hob. Least disruptive option for kitchen. Didn’t like this option due to walking in though door onto very high end panel, small amount of work surface between to hob / oven. Not much balance to it. All up and down like a NY skyline. 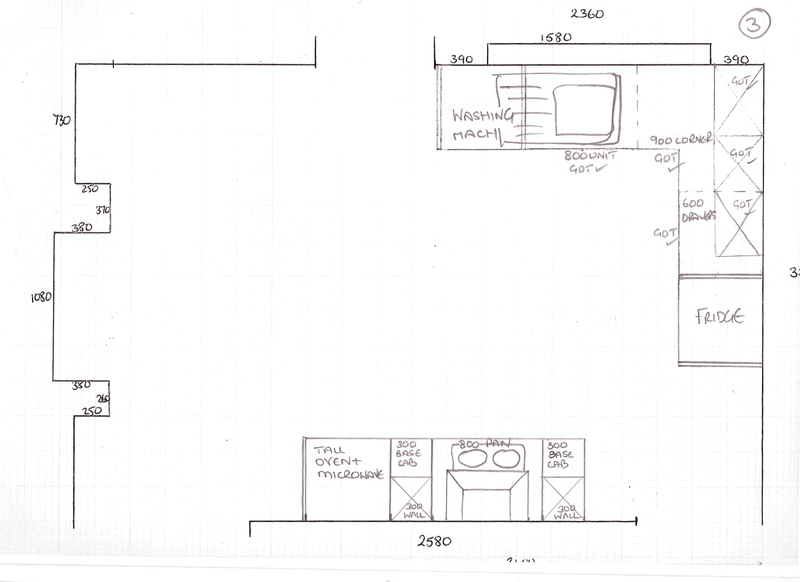 Idea 2: Using the existing 600 drawer units where the oven was and then creating a new oven wall on the other side of the doorway. Quite liked this one but not the idea of walking in onto the tall fridge. Also not a lot of work surface to either side of the hob / near the oven. More disruptive option than ‘1’ for existing kitchen units. 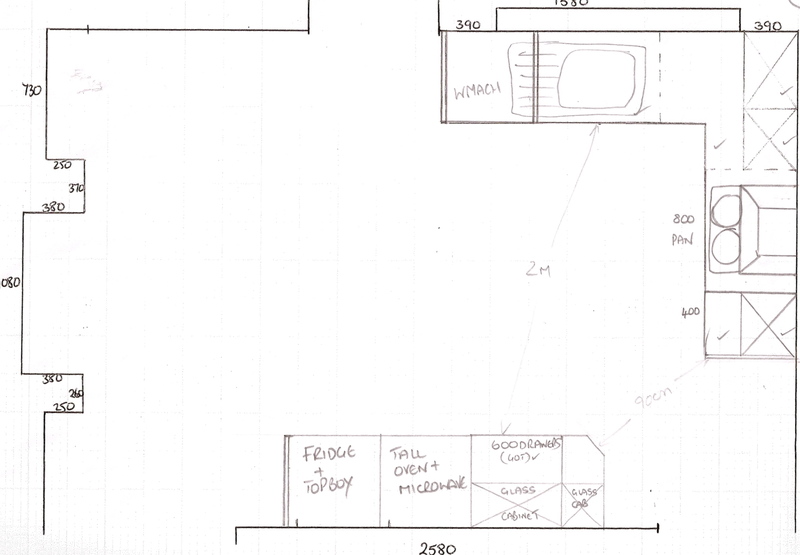 Idea 3: Keeping the hob where it was and adding a low unit next to it to give work surface either side and no tall unit when you walk in the room. Moving the retro fridge into a housing with top box, next to a tall oven unit with work top to the side. Seemed to cover all the bases but something still didn’t feel right….. This is where we are at right now, a scene of controlled chaos. The kitchen is out, units have been dismantled and the old perished plaster fell off the wall to be replaced by insulated board for extra sound proofing from next door. Still managing to use most of the existing units and just a few extra, tonnes of work surface, tall units next to each other, result!